We’re all familiar with the phrase “Tell me what you eat, and I’ll tell you who you are.” I truly believe that food binds us as a family, connects us to our culture, fills us with the tastes and aromas of our heritage and gives us our identity. 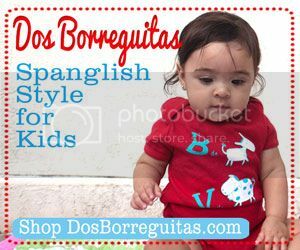 As we strive to raise bilingual and bicultural children we commit to surrounding our homes with the richness of our cultures, such as the traditional recipes from our different regions. These platillos are such an exciting and delicious way to teach kids about where our family comes from, learn the names and tastes of exotic ingredients and to pass down the traditions surrounding these dishes. I know I want Camila to identify with the sabores from Mexico and El Salvador. However, I have to admit I wasn’t born a culinary master. ¡Ni cerca! I do the best I can. My husband will say that he’s grateful I keep them fed, but I just know that he would love for me to regularly make them some chilaquiles, huevos con machaca, enchiladas, pozole or just at least stop being scared of cooking with chiles! So, in lieu of spending recession money on cookbooks, I’ve done research online and found some amazing blogs dedicated to Latin food and its culture. Here are the ones I’ve subscribed to, bookmarked and am now following on my path to mamá bilingüe y culinaria. 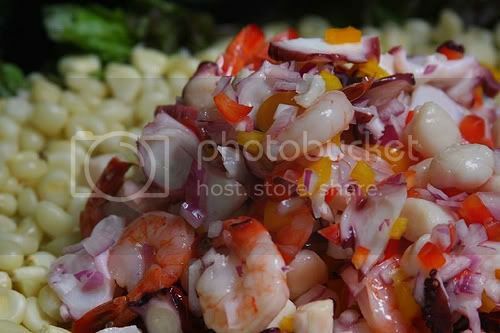 1.- Las Recetas de Laylita–Layla, beautiful mother of two boys, shares in this blog recipes inspired by her upbringing in Ecuador. The site is written in both English and Spanish and illustrated with gorgeous pictures she takes herself. 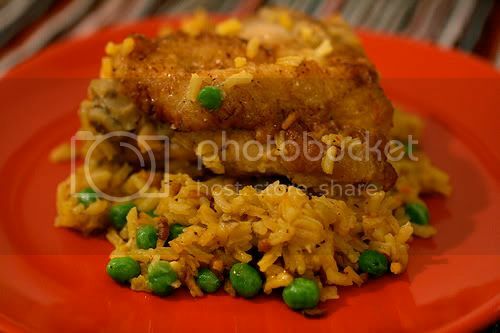 I seriously drool every time I see her picture for the Arroz con Pollo recipe. I’ve promised myself I will make it next week-no excuses! And since Camila has inherited my craving for both plátano maduro and cheese, I’ll be treating us to Layla’s Plátano maduro asado con queso. Yummy! 2.- Canela y Comino–I was excited to discover this one since Peruvian cuisine is one of my hands-down favorite. 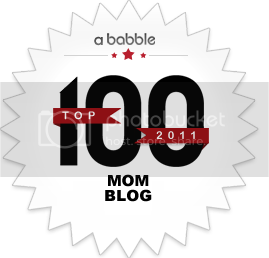 The woman behind this blog is Gretchen Noelle. She’s been living in Perú since 2003 as a missionary. Her love for cooking and baking drove her to discover the richness in Peruvian cuisine. In her words: “I love the variety of cultures within Peru and I find that variety so often represented in the foods of the different regions…I hope to take you on an adventure through Peru, showing you the many delicious foods found here as well as all the creative things you can do with them.” For starters, I’m betting on the Papá a la Huancaína recipe and, oh yes, the Peruvian Ceviche. The first thing I searched for in her blog was empanadas. I wasn’t dissapointed. She has a series called “Empanada of the Month” where I found all sorts of recipes to prepare these delicious treats. I’m hooked. 4.- A Little Cup of Mexican Hot Chocolate…and More–Here I found traditional Mexican food recipes with a sense of humor. This blogger calls herself “La Traductora” and asks us to “…enjoy a little cup of Mexican hot chocolate together, sharing recipes and stories, never forgetting where we came from or those who taught us to love chilies and cactus and the joy of cooking for those we love.” That’s exactly the vibe you get when you visit this bilingual cooking site. It has recipes for the basics such as tortillas, frijoles, salsa verde and horchata but also ventures into teaching us how to correctly roast a pepper (not as easy as it seems…the trick is in the plastic bag. I learned the hard way!) 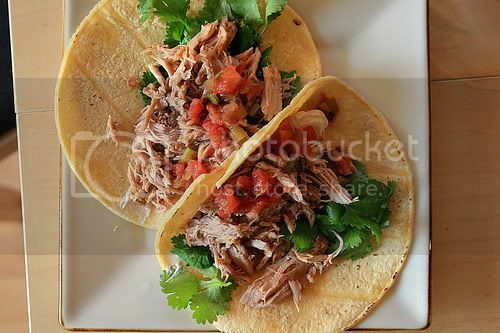 and make juicy tacos de carnitas. Every recipe is prefaced by a funny story or observation that makes this blog a very enjoyable and mouth-watering read. 5.-Nikas Culinaria–In her site she combines the arts of cooking and photography to create excellent “How-2″ guides for her recipes. I appreciate her attention to detail since I’m a visual person and need to see as well as read/hear directions. 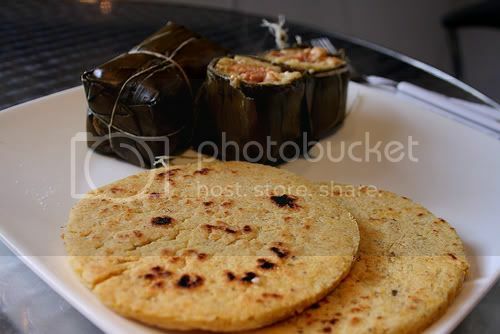 Nikas makes it appear easy to prepare the labor-intensive Colombian meals she skillfully makes, such as arepa de huevo. What are some of your favorite platillos that you want your children to enjoy? Please post a link to a recipe if you have one. Thanks for the write up! What fun to see a great collection of Latin blogs and I am thrilled that some of them are even new to me. Thanks! Muchisimas gracias for mentioning my little old blog, “A Little Cup of Mexican Hot Chocolate and More” and for writing that I have a sense of humor (PLEASE tell my viejo that!). 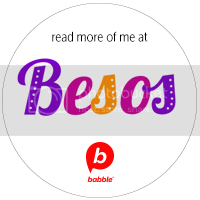 Me encanta tu blog, and I cannot wait to check out the other food blogs on your post. BTW, do you like cactus? Ay que rico!! Thanks for this post. I am bookmarking these as I write! I love my culture and how we eat natural foods. I try very hard to find natural foods here but they are very expensive and don’t taste like Latin foods that my kids like. But, I found these fruit bars by Dole called AcaiBlueberry Fruit Bars. They are all natural because they are made from AcaiBlueberries which come from South America! My kids love how they taste like the foods they are used to and they are much healthier than the ice cream other kids eat. 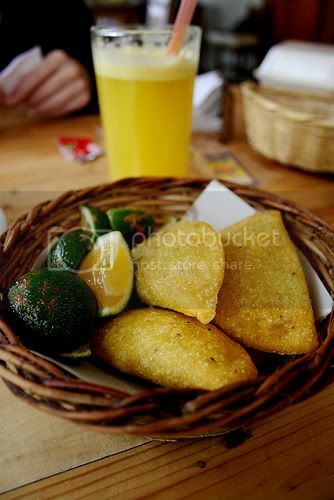 I love latin food and these are beyond the best I have seen! 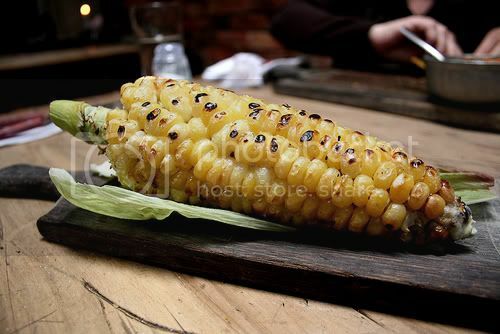 Thanks for sharing this post and mentioning Nikas Culinaria recipe. I really love your post. I want to make some Indian food and here it goes I found your blog. Great post!